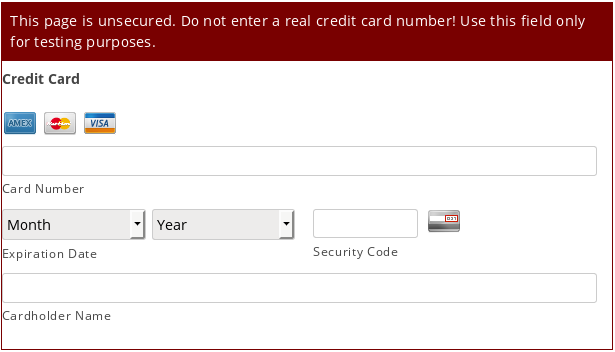 When your form has a Credit Card field, it accepts very sensitive details from your customers and these must be encrypted. You must have an SSL/TLS certificate installed on your website, and your page must be accessed via HTTPS (i.e. the page address must start with “https:”). You can force a page with a credit card form to be accessed via HTTPS by ticking Force SSL on the Credit Card field advanced settings page. If your website does not have an SSL/TLS certificate, use the Responsive Shared Page method instead (Pro add-on only).